Carting around the kids can be difficult, but add in any whines of boredom and you're likely to start whining yourself. School time means lots of time driving from activity to activity, and if you have little ones who have to tag along, they can get bored pretty quickly. Thankfully, on-the-go games and activities can keep your young children occupied while their older siblings play sports or you visit the doctor for those yearly checkups. 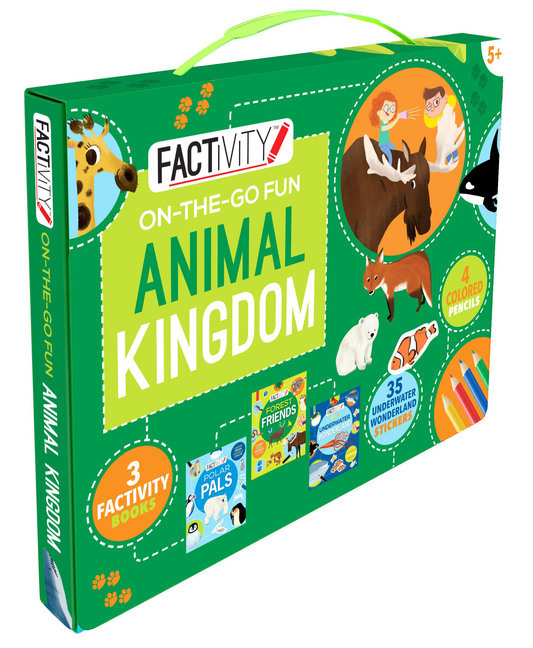 These kits from Parragon Books are perfect for the animal lover in your family. This cute kit includes tons of fun for your little one, such as markers, activity pages, books, and stickers. Stickers alone will keep children busy for extended periods of time, but throw in markers and you may just find yourself wondering why you haven't stocked up on more of these kits. This travel pack comes complete with a handle for on-the-go ease. 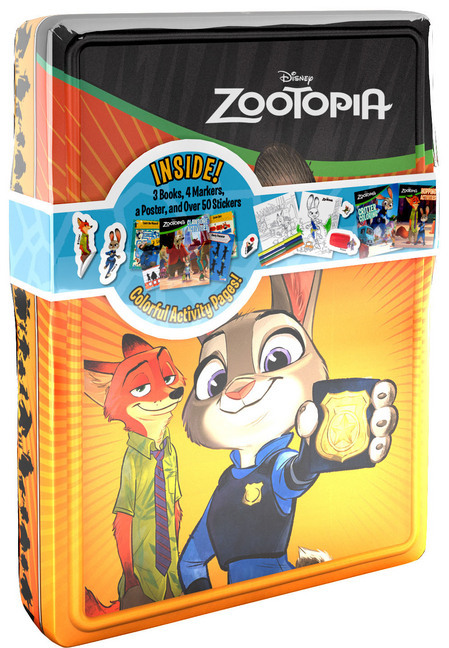 It also includes three activity books featuring: Polar Pals, Forest Friends, and Underwater Wonderland. Bonus: animal stickers! This one, in particular, kept my three-year-old busy for at least an hour. Does your child like the animals of the safari? This is the perfect kit. 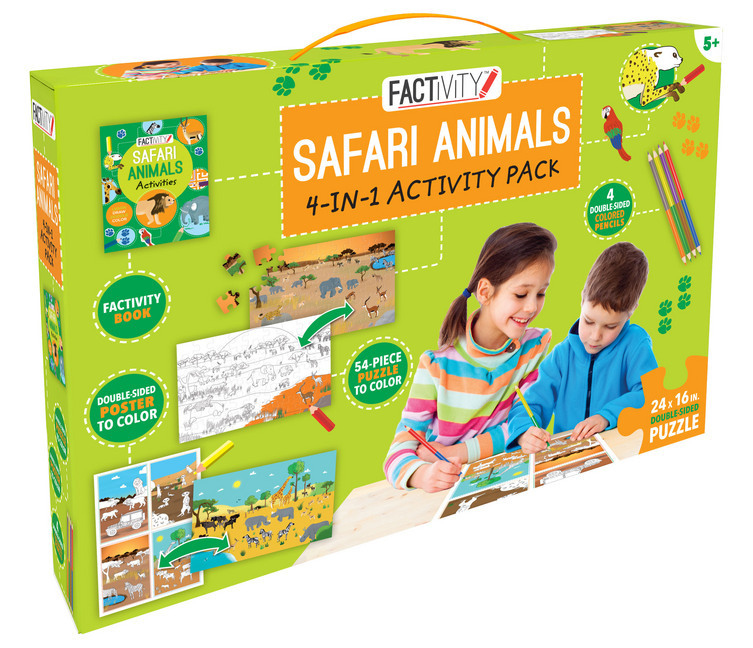 It's four activities in one and includes a 54-piece puzzle that can be flipped over to reveal the same puzzle in black and white and ready for your child to color. Even my older children loved getting in on the fun of coloring in a puzzle. Kids love to get creative. Combine that with your need to keep them busy and these kits will come in handy. Keep some in a closet or in the back of your car so you are never empty-handed when you need one. Parragon Books sent Parenting Squad these kits for review.